What does a day at the beach look like for Miuccia Prada? 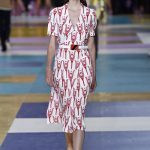 A bubbly retro romp, Prada’s seaside-inspired spring Miu Miu collection was full of neo-Fifties bathing beauties in printed bikinis, candy-colored flip-flops and zany plastic bathing caps blooming with flowers. Fantastic thick-pile robes were actually shaved mink, their wild, graphic and floral patterns heightening their sense of playful indulgence. Annette Funicello, Gidget and Esther Williams, eat your hearts out. Thom Browne, you’re in good company in your kitschy glam waters this spring. 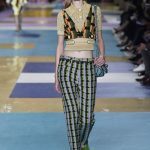 In the meantime, the Miu Miu girl wants to have fun, and so Prada refused to let that ominous concern darken her runway. Yet life isn’t only a day at the beach, so she deftly integrated the wealth of charming, innocent beach gear with great-looking real clothes. 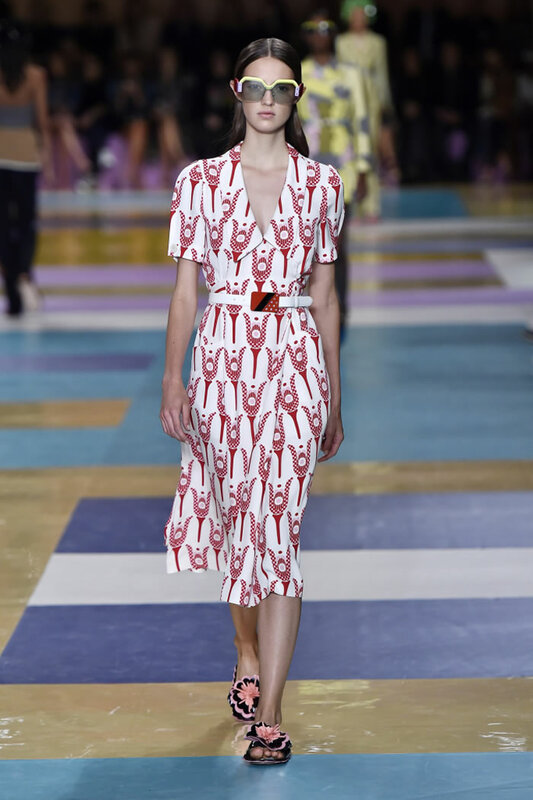 A series of cute tops and skirts in red, black and khaki that blended workwear with sweet smocking opened the show. 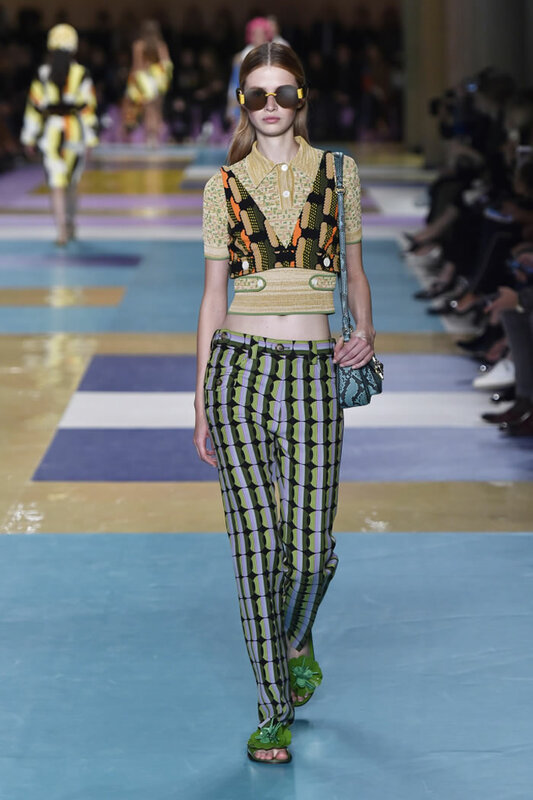 There were Sixties-printed pantsuits with shrunken belted jackets. Shiny jackets in white, plastic blue and black looked like they could chicly weather any inundation that might be on the horizon, and sky-high, elaborately carved platform wedges will put a girl several inches above sea level.